Automation improving materials handling systems. Home > Automation improving materials handling systems. The custom-built sliding fill-head modification. ONE of the world's leading manufacturers of bulk materials handling equipment is using automation to improve the design and function of its equipment. And manufacturing companies throughout the region, as well as taking delivery of world class machinery, are enjoying the benefits of a policy that includes local design and product input. US-based NBE Inc established its Australian operation, National Bulk Equipment Pty Ltd, in Brisbane in 1999. As NBE's first venture outside the United States, the decision to establish in Australia was made with the knowledge that the Australian market for bulk handling equipment, although relatively small when compared to North America, was nonetheless demanding in terms of product performance and reliability. "Our approach in Australia is a continuation of the company's overall philosophy of the right equipment for the job," Steve Perry, National Bulk Equipment's managing director, said. "Sometimes that means installing one of our off-the-shelf machines, modifying a standard unit to a particular specification, or designing and building the required equipment from the ground up." A bulk bag filling station installed for a New South Wales-based ceramics manufacturer highlighted National Bulk Equipment's sales philosophy and commitment to local suppliers. "The design specifications called for a machine capable of filling two different size bulk bags before indexing them off onto a delivery conveyor," Steve Perry said. "After looking at the specification, and at what our customer wanted to achieve, our solution included fitting a custom-built sliding fill-head to our standard modular bag filling machine." The necessary mechanical modifications to the standard machine were done at National Bulk Equipment's Brisbane plant and SMC Pneumatics supplied the required cylinders, valves and control equipment through its Queensland office. 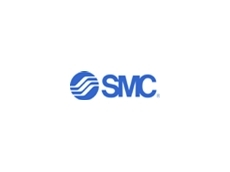 "NBE Inc have a strong working relationship with SMC in the United States and to have the same brand of high-quality pneumatic products available locally was a real bonus to us," Steve Perry said. "As well, the local people were able to make practical contributions to the machine's final design." 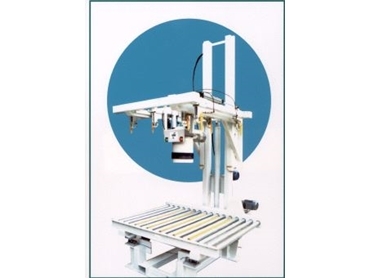 When the bag filling machine is in operation, a pneumatic cylinder alternates a custom-designed fill head between two designated bag positions for fast and accurate filling. 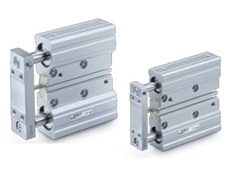 Cylinders also control the hook release and slide gate functions. 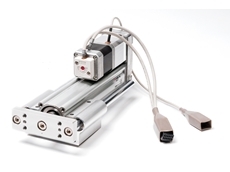 Pneumatic valves operate a venturi to pre-inflate each bag before product is introduced and control an inflatable bladder to seal the bag spout. 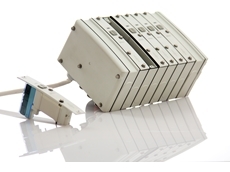 The sliding rear hooks and slide gate are controlled by 5-port valves. Airbags and vibrators for product densification are also managed by an SMC control valve. All the valves are mounted in a remote cabinet which also houses all electrical and load cell controls for the filling machine. Steve Perry said since the bagging machine was installed it had performed faultlessly despite being constantly covered in refractory-product dust.